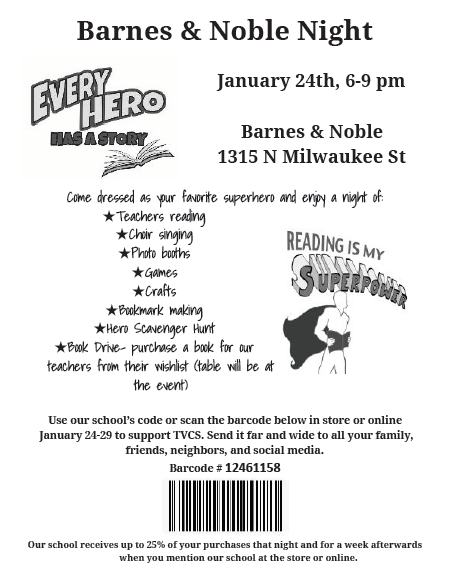 Our annual Barnes & Noble fundraiser is coming up on January 24th from 6-9 pm. The money raised goes directly back to the teachers and buys books for their classrooms. Share our school's unique code with friends and family to use from January 24-29th in store or online. If you are willing, please sign up to volunteer at the different booths. We need your help and can't do this alone. Thank you for being a part of our village.